Back in the day my father explained that the best seat in any sushi restaurant is at the counter, front and center. You had access to the head sushi chef and full view of the tasty goodness. And to this day, counter seating is always my first choice – love gettin’ the up-close-and-personal view of cooks working their magic. In Lisbon, I learned about a whole different type of counter culture. 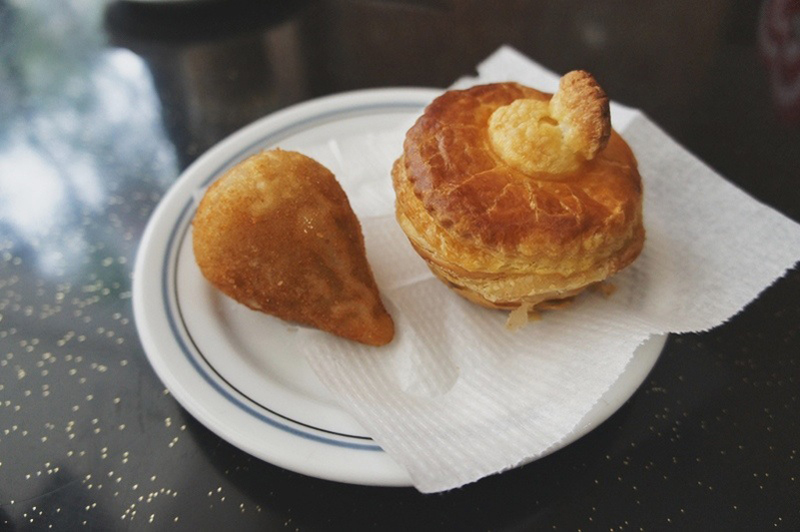 Spotted on every corner, on every block stands a pastelaria. 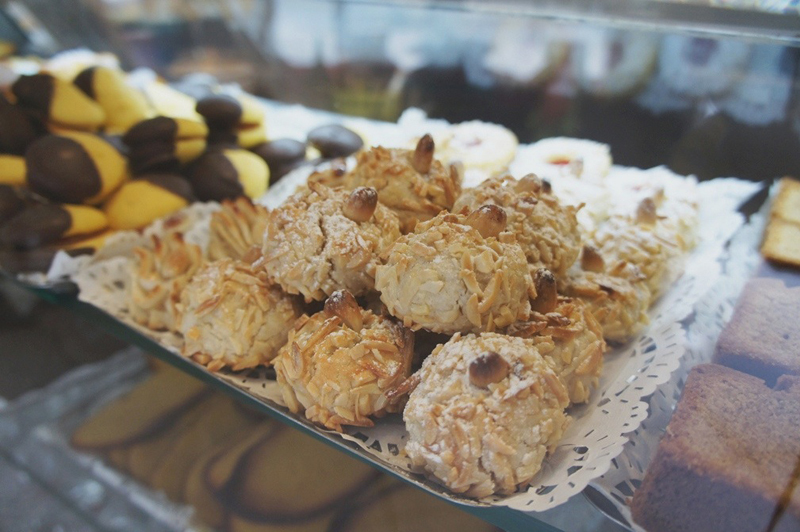 They serve savory and sweet pastries, cookies, sandwiches and more. Stop in for breakfast or lunch and you’ll witness people standing side by side, packed tight like a tin of sardines. They’re huddled together at the counter, grubbin’ on a quick meal, a pastry with coffee. Grabbing a coffee and pastry for a quick meal isn’t a new idea, but I’ve never seen it done like the Portuguese do. In the States, you sit at a table with your bagel and coffee, headphones on, staring down at your phone. In Lisbon, you stand at the counter, lingering just long enough to finish your coffee and pastry and be social. It’s communal counter dining! It’s noisy, a bit chaotic, and somehow the system works. Like coffee shops, the range is huge. From fancy over-the-top versions to the homey neighborhood joint. 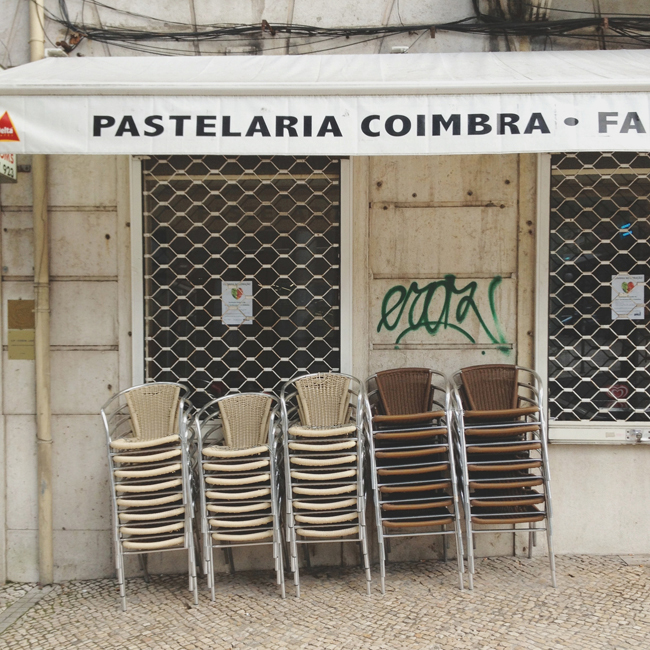 After checking into the hotel on the first day of the STMT X Portugal sourcing trip, I headed down to the corner to check out Pastelaria Coimbra. Pastelaira Coimbra reminded me of my parent’s restaurant. Nothing fancy, just simple goodness. You keep returning because you fall in love with the people who run the joint. And I did. Isabel, João, and Pedro became my instant friends. They’d smile BIG every time they saw me walk in. One night they even let me stay after they closed shop so I could take photos for the STMT X Portugal Kit. Totally, BFF’s right?! 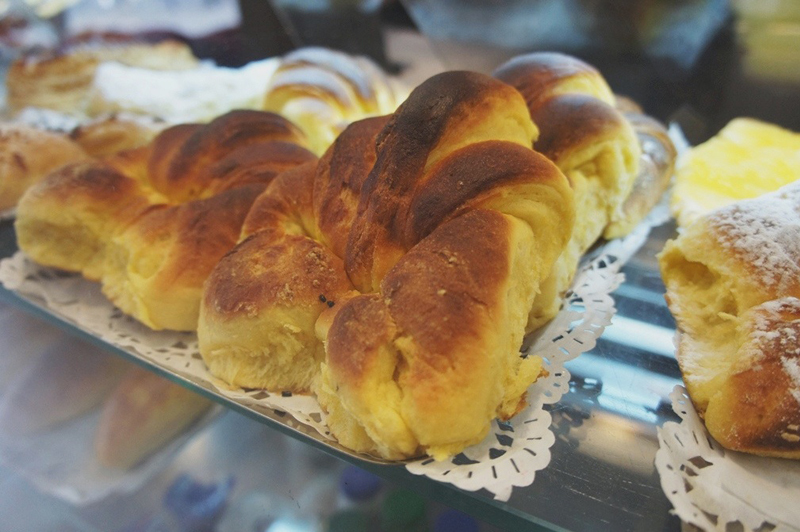 The only thing routine about my every day was Pastelaira Coimbra – two savory pastries and a galão. Minutes before heading to the airport, I rushed down the street to stop in… one last fix of a galão and I had to say goodbye to the crew. I walked in and spotted Isabel. She made hand gestures of a plane taking off. I nodded my head, yes. We all exchanged hugs and kisses like how old friends do. Finding a home away from home? True love.